4. Level Developer Rank: None. 8. List all past clans and reasons for leaving them: I had been serving USF for almost seven months. I left USF because I've gotten some demotions. I'm over with USF. They made unfair decisions on me. 9. Why are you applying for YRN? Because I want to work with YRN together and play with YRN members. I'd like to be a YRN member. I want to be skilled like YRN members. Honestly, YRN is a good clan because they inspired me. Like I almost never played snipers. I improved my sniping skills so much. 10. How can you benefit YRN? Being a good member and helpful with YRN members. I want to follow what YRN leader said. I really like to help. Teamwork is important. 10b. How will YRN benefit you? When someone needs my help, I will help them. If they tell me what to do. I'll do it. I want to get good reputations from YRN. Being a USF staff and 1v1 with most of USF members. Getting demoted sometimes. It's not fair. 13. In your opinion what makes YRN different and/or better from other clans? Honestly, YRN is legitimately a skilled clan because some small pro clans die and some of them are clan hoppers. I like how YRN is still alive. 20-30 depends on what matches. 15b. How active will you be on Discord, YRN forums, and PB2? 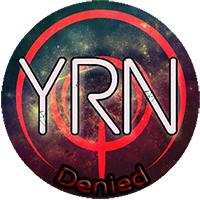 I will be active on YRN forums if I get accepted. I only play pb2 on Friday, Saturday, and Sunday. I am always active on Discord, but on phone. Caring, chill, nice, and cool. 18. What do you value more and why: Skill or Attitude? Attitude because you must earn YRN members' respect. If you give them a bad attitude, they will dislike you. I want to prove that I can show you a good attitude. 20. Do you understand the recruitment process? 21. Do you meet all requirements to join? 22. By submitting this application, you understand that you must comply with all rules of YRN on the chat as well as the forums. You also understand that violation of said rules could result in the removal of you from the clan. Do you agree to these terms? Yes, I'd agree to these terms. 23. Extra comments: No comments but if you have any questions, I will answer them. Good app. I can tell you put a lot of effort into this. One question though, why do you believe your demotions were unfair? Honestly, I recently got a demotion for insulting some USF member, Quickace. Some High Command claimed that I aggravated him, but I never aggravated him. So Quickace and I argued in DMs and he started it so he told another High command about me and they decided to demote me. They care about him and giving him their support. So I left because I had problems with others. So I decided to have a new fresh start wirh another clan. I got enough demotions. Lyra is a guy LOL.. good application. Would love to have you in the clan! @Kobe wrote: Lyra is a guy LOL.. good application. Would love to have you in the clan! Oh ouch. I'm sorry if I assumed his gender cause most of girls use ":3" so my bad. Definitely, Kobe! If you got trained to the extent where you are better than most would you leave and pursue other options like making your own clan? @Red X wrote: If you got trained to the extent where you are better than most would you leave and pursue other options like making your own clan? No, If I get more better than last time, I don't want to make a clan or join another clan. Because I want to continue my journey with YRN like I stayed in USF for almost seven months. I joined a clan for the first time ever like July 26th, 2017 which I used to be in USF. I want to prove that I show you all guys my loyalty. So uh, you answered the previous question twice. This one is asking how will YRN benefit you. Regardless, this app is swell, I'm taking it. Oh, they will respect me and give me their attitude if I'm a good member. Helping me develop my skills for snipers. @Wazzasski wrote: 18. What do you value more and why: Skill or Attitude? More than a YRN related one, this question was asking a general preference about Skill and Attitude. Can you re-answer this question thinking more general? Attitude is important because I want to make a good relationship with YRN members. If they give me a bad attitude, it will cause problems so I want to earn their respect and YRN members will like me if I have a good attitude and sportsmanship. Sorry for double posting because I accidentally pressed enter. Joined another clan while applying here. Reapply in 5 days if you want.